It’s a new month which means it’s time for the list of New Releases! But, today is also my birthday! Yay! Now, I have gotten a lot of great gifts in the past including jewelry, gift cards, and clothes. But I would say that last year’s gift was one of the best. I got a bunch of pictures that were taken by the professional cruise staff while we were on our cruise. To me, it was special and something that I will never forget. What are some of the most memorable birthday presents that you’ve received and that you’ve given to someone else? 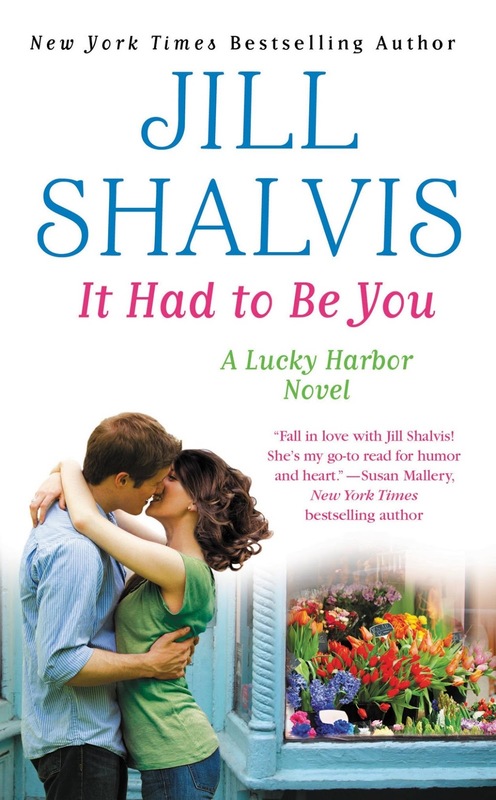 Right now, I’m reading It Had to Be You by Jill Shalvis and once again, it’s a winner from the gifted Ms. Shalvis! I’m looking forward to Eloisa James’s latest masterpiece, Once Upon a Tower, Any Duchess Will Do by Tessa Dare, and One Sweet Ride by Jaci Burton! Which June releases have you read? Of those, which ones do you recommend? Which ones are you most looking forward to reading? Tell us and TWO lucky commenters will each win a random book from my prize stash! I'm reading Jill Sorenson's Freefall right now. Really looking forward to reading Jaci Burton and Jill Shalvis' new releases. Great! I hope you enjoy them, Jane! There are a lot of books out this month that I want to read. They include Any Duchess Will Do by Tessa Dare, Dare You To by Katie McGarry and The Firebird by Susanna Kearsley. I'm looking forward to Sara Lindsey's new Rogue book. I really enjoy her writing and her stories. Thanks for the list, Andrea! A lot of us have been looking forward to it, Deb! Enjoy! First of all Happy Happy Bday. Hope you have a great celebration! Haven't read any of June's yet, but several contemps are on my list. Best gifts I recd were ones my kids made when they were young and best I gave were to them also for toys they really really wanted - probably stars wars stuff or baseball equipment. Hope you have a fantastic birthday Andrea! 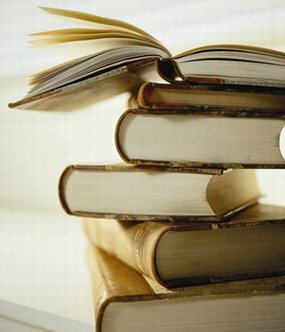 So many books each month that I want to read. I haven't read any June releases yet. Plus those that you've showcased here. Happy birthday Andrea, wishing you many more. One of the best presents I ever received was from my daughter, she gave me a book of coupons made with her own hands. I had coupons for hugs, kisses, scheduled time for "girl talk", etc. It was lovely. Aww, that's so sweet, Dianna! What a memorable gift. :) Thanks for the birthday wishes. I hope you enjoy your June books! Thanks, Kathleen! I hope you enjoy It Had to Be You! happy birthday!! I am looking forward to the books by Jill Shalvis and Ruthie Knox. 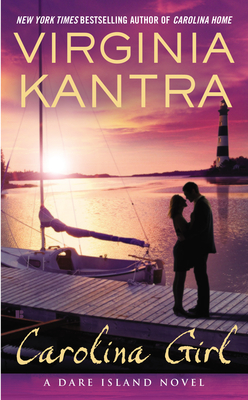 And the new one by Virginia Kantra. really enjoyed the previous one. all in all, looks like a great beginning to summer. I posted earlier, but I guess Blogger ate my comment. The happiest of birthdays to you, Andrea! I’ve already read Any Duchess Will Do – Tessa Dare, How to Tame Your Duke – Juliana Gray, Once Upon a Tower – Eloisa James, I’ll Be Seeing You – Suzanne Hayes & Loretta Nyhan, The Sassy Belles – Beth Albright, Carolina Girl – Virginia Kantra, You’re the One – Robin Kaye, Just One Kiss – Susan Mallery, It Had to Be You – Jill Shalvis, Can’t Stop Believing – Jodi Thomas, Love at First Sight – Lori Wilde, Sea Glass Island – Sherryl Woods, and Faking It – Cora Carmack—and reviewed most of them. Today I’m reading A Rogue for All Seasons – Sara Lindsey, a book I’ve long awaited. I hope Sara gives us stories for the other Westons. I expect to read these before the end of the month: What a Wicked Earl Wants – Vicky Dreiling, A Reputation for Notoriety – Diane Gaston, What the Duke Desires – Sabrina Jeffries, The Sword Dancer – Jeannie Lin, A Hundred Summers – Beatriz Williams, Ladies’ Night – Mary Kay Andrews, Sweet Salt Air – Barbara Delinsky, Home Fires – Lois Greiman, The Last Camellia – Sarah Jio, Wedding Night –Sophie Kinsella, Flirting with Disaster – Ruthie Knox, and The Time Between – Karen White. Just another great month for romance readers. I expect July will be the same. Aren't we lucky readers? Thanks, Janga! Blogger has eaten a few of my comments lately. I started copying the long ones I write, just in case something happens and I can paste it again in a new one. We are indeed lucky readers! Oh, Happy Birthday!!! When you mentioned pictures it reminded me of when my older daughter put together a scrapbook for me. She picked one year and since she was working at a scrapbooking store at the time, it was gorgeous and such memories. If I could read every one of those historicals, I would. Of course there are others I like too (such as Jill Shalvis) but the historicals come first lol. The best gift for my birthday that I have ever received is definitely my engagement ring. My now hubby threw a party for me and proposed in front of all of our family and friends! There was not a dry eye in the house after his speech. I haven't had the chance to read any of them yet, but have many on my TBR list. Wow! Both the gift you received and gave have extra special meaning! You are a wonderful friend to buy your friend a Kindle. I'm sure she appreciated it more than anything! All of the ones you listed are on my list! I want to read a bunch more, too. Billion Dollar Cowboy, You're the One, Wedding Night. Lots more! Happy Birthday! Mine is the 17th! 2 years ago I used my birthday $ to go to NYC (train from LI) to the author signing & came home with about 50 signed books! Happy Birthday! I can't think of a special birthday other then when my son got me an early gift one year and it was a Kindle but gift ever. Book I am looking forward to the most is Ms. Jill's It Had to be You. Quilt Lady, you are sure to enjoy Jill's book! A lot of others here are on my list, too, including: Sweet Revenge – Zoë Archer, An Outlaw in Wonderland – Lori Austin, The Secret Life of Lady Julia – Lecia Cornwall, Once Upon a Tower – Eloisa James, What the Duke Desires –Sabrina Jeffries, Lover Be Mine – Nicole Jordan, One Day in Apple Grove –C.H. Admirand, It Had to Be You – Jill Shalvis, and Can’t Stop Believing –Jodi Thomas. Thanks for the information. And Happy Birthday to Andrea. Thanks, LSUReader! Glad to hear that Tessa's is good! June is going to be a great month to read not only because we have good weather but because there are so many great authors who have books out this month! I've already read What a Wicked Earl wants by Vicky Dreiling and can't say enough about how wonderful it was! One of the other books a can't wait to start reading is One Night With a Rake by the great writing team of Mia Marlowe and Connie Mason! With all the great books released this month it's a great month for ROMANCE! I agree...June is a great month for weather and books, Jeanne! I'm looking forward to reading ONCE UPON A TOWER too. My parents gave me a beautiful string of pearls for my 21st. Truly memorable. A big happy birthday to you Andrea, hope you had a wonderful day!! My best b-day present was a beautiful ring I got from my parents for my 18th b-day. Totally surprised me with it, so it has a great sentimental value for me. 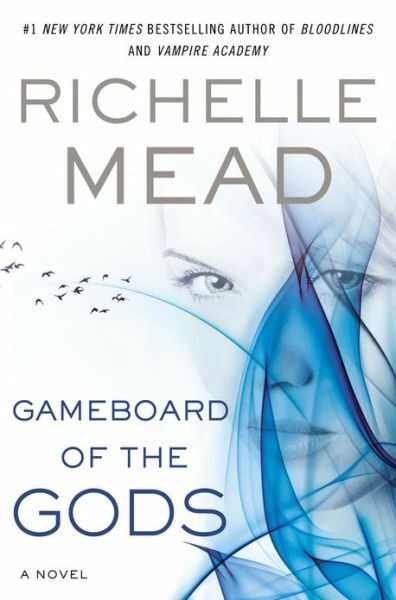 I haven't had a chance to start on the June releases yet and there are so many good books out this month, it's hard to narrow it down to read. But top of the list are 3 of my favorite authors:Sabrina Jeffries, Eloisa James, Karen Hawkins. Definitely a great month for books! Thanks, Anita! Those are great choices for the top of your list! I'm going to be reading the above 2 first... but there's a great many that will be in my TBR pile... I do believe that when I am found dead, it will be because I was killed by my TBR pile falling on me!! But I keep adding to it!! Happy Birthday Andrea! Many birthday wishes to you! I think hand-made gifts are really special, like sweaters made by the ladies in my family when I was little. My June TBR pile includes Jill Shalvis "It Had to Be You", Eloisa James "Once Upon a Tower", Sabrina Jeffries "What the Duke Desires", Susan Mallery "Just One Kiss",Jacquelyn Frank "Forever" and Karen Hawkins "How to Pursue a Princess". It's going to be a busy month of reading, but that's a good thing with all these great releases! Too many good ones to consider. I need to do some catching up reading first. so hard to wait for these. I have ordered Once Upon a Tower by Eloisa James and look forward to reading it. I just finished reading The Saint by Monica McCarty. i really enjoy how she writes about he Highlanders of old.